On January 2nd, it was announced that idol group, Hey! Say! JUMP will be holding their first Asia tour in March to June. �The�members were informed about the tour on the same day by Johnny Kitagawa, the president of Johnny & Associates, right before they began their live concert at the Yokohama Arena. Member, Yabu Kota commented, "I'm happy that we will finally be able to see fans overseas", while Chinen Yuri said, "We will show off our performances!" �Yamada Ryosuke also added, "To hold a tour overseas was our major goal, so I'm happy! �This will be a new start as JUMP." According to Johnny & Associates, Inc., there will be 3 stages in Hong Kong on March 24th and 25th, 4 stages in Taipei, Taiwan on April 28th and 29th, 2 stages in Bangkok, Thailand on May 26th and 27th, and 4 stages in Seoul, Korea on June 23rd and 24th. �This will be their first oversea concerts ever since they made their CD debut back in November 2007. �The Asia tour will also include the live concerts in Japan which will be held at Yokohama Arena for a week continuously (total 14 stages) on May 1st ~ 7th. During the concert, Hey! Say! 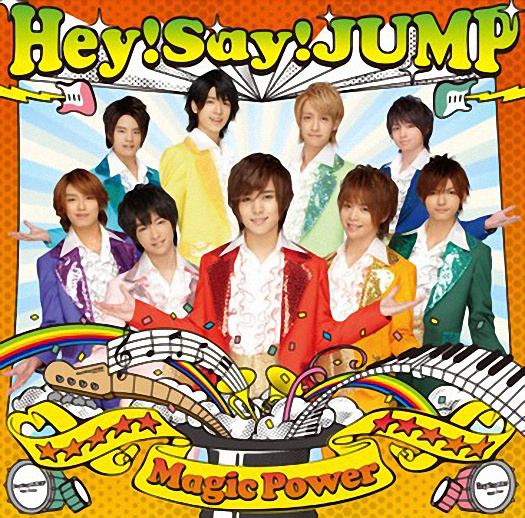 JUMP performed total 26 songs including their new song "SUPER DELICATE" which is scheduled to be released in February.